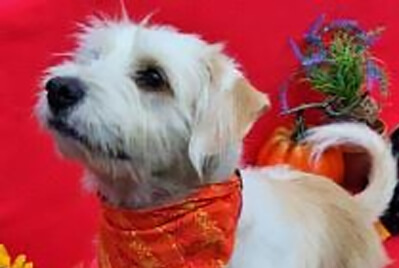 Life's Abundance non-profit arm, The Dr. Jane Foundation, is an organization absolutely committed to supporting a variety of animal rescue groups, all of which are dedicated to helping to rescue neglected and unwanted animals. Every time you purchase a Life's Abundance product, a portion of the profits are contributed to a fund that supports the operations of this organization. Thank you so much for your continued business! Together, we’re making a positive difference in the world, one animal at a time. We’ve given awards to numerous worthy rescue groups, some of which are listed below. If you belong to a rescue in need of financial assistance, we encourage you to download this MS Word application form and submit to our Board of Directors for consideration. Located in Las Cruces, NM, this 100-volunteer-strong animal rescue is making a tremendous difference, not only in their local community, but even beyond state lines. Since May of 2012, they have rescued more than 3,500 dogs and cats. Nearly all of those were pulled from a nearby high-kill shelter. They have been able to make such great strides through the tireless work of their committed volunteer network of rescue and foster coordinators and families. They've even managed to hold weekend adoptions to locate loving homes for their rescues quickly and efficiently, all on a shoe-string budget. Soon, they plan to move into a newly purchased facility that will double their housing capacity, further bolstering their presence in the area as a welcome alternative to municipal shelters. To learn more about their important work, visit actionprogramsforanimals.org. Based in Antonito, CO, this small yet committed animal welfare group focuses their efforts on two pressing needs: one, to house, care for and adopt out neglected and abandoned dogs; and two, to reduce pet overpopulation through spay-neuter services. Now barely into their second year of operation, this hardworking rescue managed to save 74 dogs in their first six months! Their goal - and fervent hope - is to never have to turn away a dog in need. Our financial grant has been earmarked to help cover the costs of constructing a modern kennel, which will allow them to rescue even more homeless animals. The new kennel will utilize solar panels to provide heat during harsh winters. To learn more about this small rescue, email them directly at rescue.so.co@gmail.com. This foster-based rescue organization is located in beautiful Northern Colorado. Their goal is to grow to the size where they'll be able to rescue unwanted animals from high-kill shelters all over the country, place them with loving fosters and ultimately find them forever homes where they will be loved unconditionally. Even while they're out there saving lives, they're still focused on the well-being and adoption of unwanted animals. They're committed to building stronger community relationships, investing in technology and fundraising at the grassroots level. Bounce focuses on quality veterinary care, nutrition, spay/neuter programs, training and, of course, adoptions. To learn more this impressive group, please visit www.bounceanimalrescue.org. Headquartered in Tallahassee, Boxer Aid and Rescue Coalition is a not-for-profit rescue organization that operates a network of volunteers in north Florida and south Georgia. In their decade of operation, these devoted caretakers have helped to rescue and find forever homes for hundreds of Boxers. Each dog receives medical care, basic training (including a behavioral assessment), a caring foster environment and the promise that they’ll be ultimately be placed in homes where they will be treated "as a member of the family." Keep an eye on this group, as they plan to expand their organization to help provide care for senior and hospice dogs. 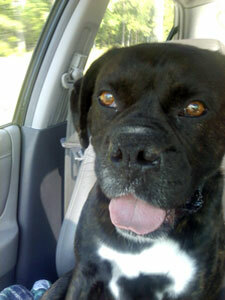 To learn more about the exciting world of BARC, visit www.boxerarc.org. Based in Burlington, CO, this small non-profit got its start in 2011 as a TNR program for feral cats. 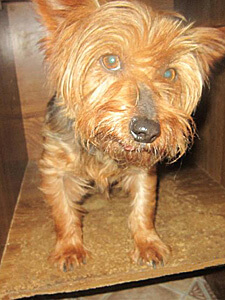 That has now grown to a much larger effort to rescue both cats and dogs, and to help curb overpopulation in their area. In just a few short years, they've achieved great success, altering more than 1,700 animals and vaccinating over 360 feral cats! A dedicated team of volunteers help with all aspects of the rescue effort. Amazingly, they're able to locate loving homes for their dogs and cats in record time. They're so insistent on matching up prospective pet parents with new intakes that the average wait-time for these creatures just two-to-four weeks before moving from terrible situations and into their forever home. Our grant will go towards the costs associated with low-cost spay/neuter community clinics or towards the purchase of a high quality shed to safely store their supplies, which has previously been done by their many volunteers. 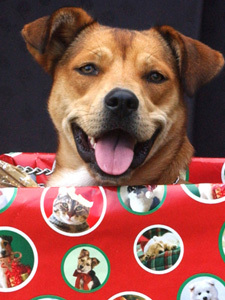 To learn more about what this group has been able to accomplish, visit www.epawaburlington.com. 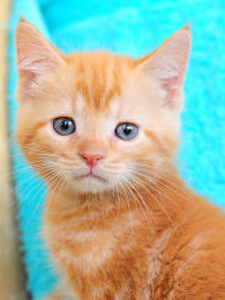 Located in Orange County, this non-profit, all-volunteer organization is dedicated to the rescue of cats and kittens in Southern California. Every year, they have been able to save more than 2,000 felines! Their kittens are hand-raised in foster homes, and many of those are bottle-fed babies. These kittens grow into sweet and people-oriented cats thanks to the amazing foster care by pet parents who are dedicated to raising and finding good homes for these abused, injured or abandoned cats. 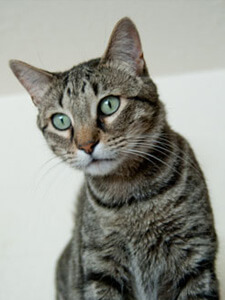 They routinely hold feline adoption events in numerous cities, and operate an extensive foster network spanning even more locations throughout Southern California. Our financial grant will help them to further their mission as their current needs dictate. To learn more about their amazing work, visit meoowzresq.org. Based in Carr, CO, this no-kill organization is on a mission to rescue and re-home stray, neglected and abandoned dogs from high-kill shelters. They believe that all living creatures should be treated with dignity and respect. They provide much needed care, medical attention, microchipping and socialization, all towards their ultimate goal of placing these pups in permanent adoptive homes where they will be loved like family. At present, they adopt out between 125-150 dogs per year, which is no small feat for a small rescue. They strive to increase public awareness about overpopulation problem and hope to see an end of euthanasia in their area. Our award was earmarked to help fund heartworm treatments for two very sick dogs. To learn more about their incredible work, visit www.mysecondhomerescue.org. Located in Centerville, MA, this non-profit was founded in 2009 to serve the Cape Cod community and surrounding areas. They are one of the few organizations committed to hands-on rescue work in the region, whether those cases stem from neglect, abuse or abandonment cases, to assistance with strays and their TNR program for feral cats. They take it as their mission to advocate, protect and rescue, using a proactive, humane approach. They are committed to increasing community awareness and creating progressive changes in animal welfare. As a “no-kill” organization, NESAA has a no-exceptions spay/neuter policy ... that notion is at the heart of every program implemented by the organization. They have established relationships with other organizations who serve individuals with disabilities, and these groups routinely help volunteers socialize animals at the shelter. Our financial award is earmarked for their multiple overpopulation prevention programs, from TNR to low-cost spay/neuter programs for the low-income community. To learn more about this fantastic group, visit www.nesaa.org. Based in Reno, NV, this non-profit group rescues dogs of all breeds. Res-Que was founded by Rhonda Shafer in 2009, after working as a distributor of dog food and supplies for local rescues. They work extensively with small, outlying shelters to rescue dogs and find them forever homes in both Northern Nevada and California. As their rescues recover from trauma and learn socialization skills, they live with one of the 15 caring families who make up their foster network. This group works very hard to find the less popular dogs from surrounding shelters where they will likely languish without interest from possible adopters, then place them in nurturing environments where each dog's true personality can finally shine. And their efforts are definitely paying off. In 2016, they were able to provide quality care and adopt out 147 dogs, and last year that number more than doubled to 303 dogs! Our financial grant will go towards covering the costs of veterinary medical care. To learn more about what they've been able to accomplish, visit http://res-que.org. Since 2009, this Minneapolis non-profit has worked to prevent the surrender of beloved pets by people who lack the economic resources to care for them. Originally known as The Pet Project, this committed group started after the Great Recession, when they sought to help people in the midst of crisis. They provide food for dogs and cats who live with people on special-income grants (such as food stamps, disability, etc.). At any given time, they serve 300 or more families. And that's not all. Thanks to the relationships they've cultivated with local vets, they also help by offering reduced-cost veterinary examinations and vaccinations, too! 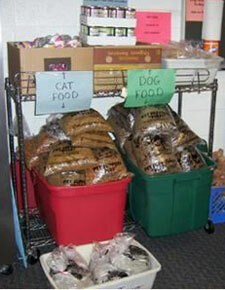 Our grant was used to help them to increase the amount of safe storage space to stock dog and cat foods. To learn more about this worthwhile endeavor, visit www.peopleandpetstogether.org. Located in Youngsville, NC, this non-profit animal rescue was founded in 2002 to achieve multiple goals, including: the rescue of cats and dogs from rural, high-kill shelters into their foster program; to reduce the number of homeless and neglected animals in the area through their subsidized program, Spay and Neuter in Franklin County (SNIF); and to educate the local community about animal welfare. And they certainly have made great strides, as the euthanasia rate for dogs at the nearby county shelter has dropped nearly 60% in just six years! Additionally, they provide free or low-cost vouchers for spay/neuter services, have instituted a working cat program and established two Homeless Pet Clubs in local middle schools to educate children about compassion for and care of companion animals. 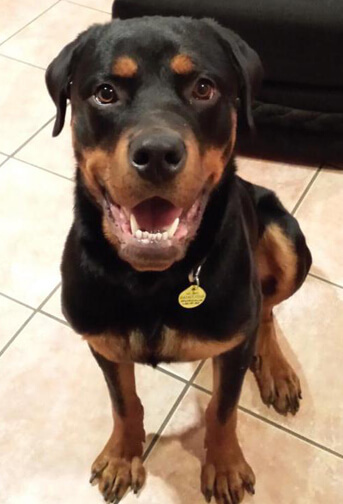 Our financial award helped defray veterinary expenses and medication. To learn more about this non-profit's work, or to view their dogs and cats available for adoption, visit pawsforlifenc.org. Based in Gregory, SD, this non-profit has been in continuous operation since 2004 after they began working for the Rosebud Sioux Tribe. What started by rescuing one dog at a time has now blossomed into something extraordinary, as they've managed to save over 3,000 animals since their inception! Their mission is to save neglected, abused and abandoned animals in an area where traditionally these creatures have had to fend for themselves. While their emphasis is on rescuing dogs, they have also welcomed cats, raccoons, birds, squirrels, turtles and several horses. The vast majority of the animals they rescue are in dire straights, suffering from mange, flea and tick infestations, as well as parvo-distemper diseases. Many have been injured but never received proper medical care. Thankfully, all that changes once they're in the warm embrace of these dedicated rescuers. Our financial award helped defray veterinary expenses and medication. To learn more about this marvelous non-profit, visit rescuesunlimited.weebly.com. Based in Spring Hill, FL, this organization focuses their efforts on saving cats. They've developed a reputation for reliably taking in kitties in any condition. Since 2011, they've managed to save nearly 4,000 cats! What makes this group so unique is the relationship they've developed with the University of Gainesville, working together to help minimize disease outbreaks and to shorten recovery times using cutting-edge science and real-world problem solving. They are currently seeking to create a small in-house hospital, so that they can treat their feline rescues in a centralized location, allow them to heal and get ready for adoption. To learn more about this remarkable group and to see the cats currently available for adoption, please visit www.pawwarriors.org. This non-profit animal rescue and foster organization is made up of a group of community volunteers that rescue abandoned, abused, homeless, neglected and unwanted dogs and cats from high-kill shelters. Once in their capable care, this group provides the animals with medical attention, love and kindness in foster homes until they can be matched with an adoptive family. Additionally, BARC seeks to raise awareness about the plight of these animals by educating the public on topics such as overpopulation, the physical and emotional care of pets, while also promoting the spaying/neutering of dogs and cats. Our financial award was specifically earmarked for to cover the medical costs of heartworm prevention and treatment. 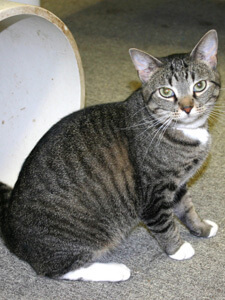 To learn more about this fantastic group, visit www.barchumanesociety.org. Located in Sherman Oaks, CA, this 10-yr-old rescue organization works primary to rescue Cocker Spaniels from high-kill shelters in the greater Los Angeles area. Many of their dogs come with dire medical problems, but the group welcomes them with open arms no matter the extent of the ailment. In the last few years, they've been able to expand their foster network and are working to establish an Emergency Rescue and Rehabilitation Fund for severe medical needs. Each year, they manage to save more and more dogs of this lovable breed. Our award was used to help offset the costs of medical care for their many adorable rescues. To learn more about this fantastic group and the amazing work they've been able to accomplish, visit www.campcocker.com. On Dec. 4, 2017, a wildfire broke out in Ventura County, CA. Known as the Thomas Fire, it would grow to be the largest wildfire in recorded California history, destroying hundreds of homes before it spread into Santa Barbara and surrounding counties. At the same time, a massive Pacific storm hit, unleashing flashfloods that killed 17 people. Throughout the ordeal, the Humane Society of Ventura County offered emergency assistance to displaced pets. Our emergency donation was used to help offset the costs of their rescue work during this trying period. "Words cannot express how grateful we are to you," said Jolene Hoffman, Shelter Director. Adding, "We thank you and appreciate this contribution so much. Your gifts will be used immediately to help us provide the best possible care for these animals and their families." To learn more about this amazing rescue, visit www.hsvc.org. 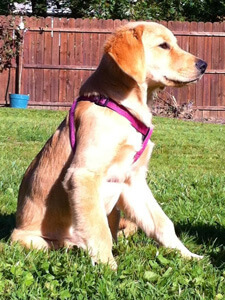 Founded in late 2011, this group began rescuing Golden Retrievers in 2012. Since then, they've adopted out well over 700 dogs! This group is 100% volunteer-driven, doing everything from adoption application reviews to placement, fostering activities, recruiting new foster families, transportation throughout the state, to community and fundraising events and so much more. Everything they do is to help rescue lost, abandoned, abused and unwanted Goldens, provide them with necessary medical care they need and see that they're placed in loving homes. Our award was used for this year's Night of Golden Opportunities benefit. As per the staff, "Your support enables us to continue our mission of finding safe, loving, lifelong homes for Golden Retrievers ... we are so grateful." To learn more about this dedicated Golden rescue, visit adoptagoldenbirmingham.com. This all-volunteer organization's primary focus is on the management of feral cats in Pennsylvania. Given their location, they serve diverse communities, such as rural farming and Amish, where feral feline populations are often extensive and difficult to manage. They have their own small veterinary clinic which offers low-cost spaying/neutering, vaccinations and treatments of common general medical problems. Most of their efforts revolve around their TNR program. Even though they don’t do adoptions, we recognize the importance of their hard work in keeping overpopulation at bay. Our award was alotted to help cover the expense of new traps for their TNR program. To learn more about what they do, visit helpinghandsforanimals.org. 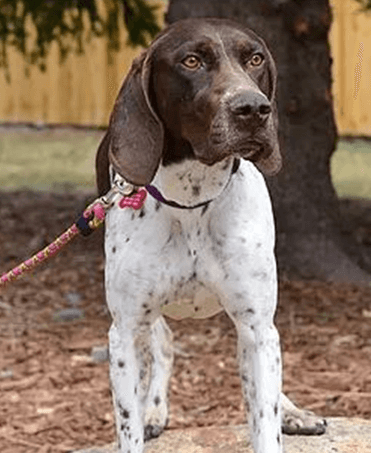 Based in Colorado, All Points West German Shorthaired Pointer Rescue is a relatively new non-profit that places homeless Pointers and mixes with foster homes until they're matched with their ideal adoptive families. During their first year, they rescued 49 dogs and successfully adopted out 41! There exists a common misconception that Pointers are “good for hunting but not as pets”. Nothing could be further from the truth! Pointers are known to be adoring, affectionate and great family dogs. Because they have been able to achieve so much so quickly, the decision by our non-profit to fund their grant application was an easy one. Thanks to a top-notch foster program and superb veterinary care, our Board of Directors feels confident that All Points West’s vigilant and dedicated team will save countless GSP's. Anyone looking for more information about this amazing rescue can visit their site at allpointswestgsp.org. Based in Illinois, this all-volunteer, no-kill organization only began last year and they’re already having an incredibly positive impact on their community. According to their charter, HART is “dedicated to meeting the physical, emotional and medical needs of all local homeless animals”, a claim easily backed up by their record. Amazingly, they have been responsible for reuniting dozens of lost pet kids with their families (46 dogs and 12 cats in 2016 alone!). Hundreds of animals came through their doors last year, and they take enormous pride in the fact that no animal is ever turned away, for any reason. They even operate an open-intake shelter, so they’re on the front lines of all sorts of pet emergencies. Thanks to the superior medical care they provide, some of their patients have made recoveries that are nothing short of miraculous! To see the before-and-after photos, and for more information about their adoptable dogs and cats, visit hartshelter.org. Pawsitive Tails is a non-profit organization focused on finding forever homes for dog and puppies in Kansas City and Topeka. They are not a traditional shelter organization, but rather a network of foster homes. This all-volunteer organization puts special focus on finding the perfect home for each rescue dog. During their time in foster care, the temporary pet parents closely observe the behaviors and personality traits of the pups. Later, they will use this info to help match prospective adopters with their ideal dog. Another new rescue group, in their first 12 months of operation they took in 379 dogs and 349 were placed in loving homes ... remarkable! And every penny they raise goes directly to the care of their rescues. 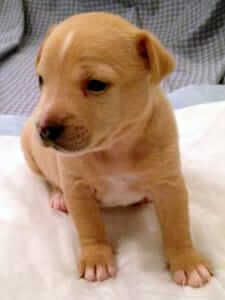 Our financial award will go towards funding their spay-and-neuter program and to help provide food for the foster pups. 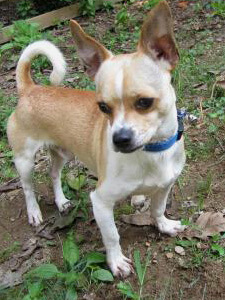 For more information about their adoptable dogs, visit pawsitivetailskc.org. Based in New Orleans, this foster group has been active since 2003 and was severely impacted by Hurricane Katrina. 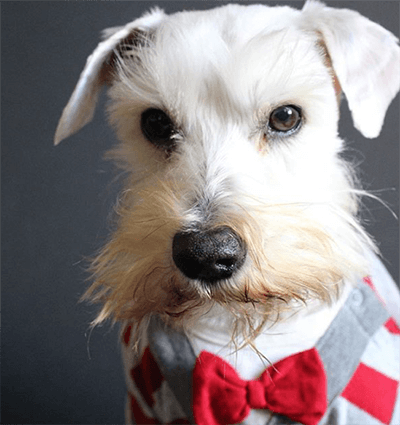 With a focus on purebred and mixed Schnauzers, this small but dedicated rescue takes in dogs from local shelters and owner surrenders. Many of the pups in their care were made homeless when their caretaker passed away. They have rescued more than 300 Schnauzers since they began operations, and save as many as 38 per year. While some canines require months-long stays due to medical complications, this group attempts to place new rescues in loving homes in just a couple of weeks. Currently, they are working to expand their foster network and to provide rescue services in areas of Louisiana where shelters rely on euthanasia. Now that Schnauzer Rescue has built a reputation for their commitment and superior care, more and more rural areas are looking to them for help in dealing with homeless dogs. For more information about this rescue’s adoptable dogs, visit nolaschnauzer.com. Based in Jackson, this coalition works on multiple fronts to reduce pet overpopulation and to foster a culture of responsibility when it comes to pet parenting. Their primary focus is on providing low-cost spay and neuter surgeries for both dogs and cats in West Tennessee. We’re proud to contribute to this relatively new enterprise, which only began just last fall. While they have performed procedures on cats in feral colonies, the vast majority of their ‘clients’ are dogs and cats who have a home. 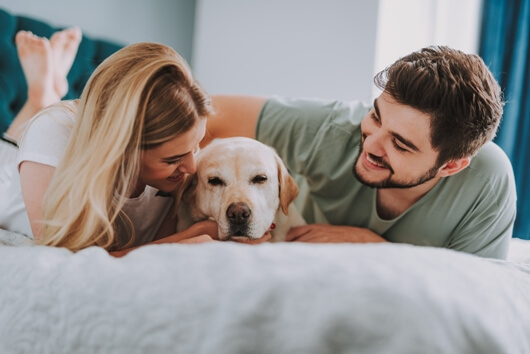 Based on their research, making alteration surgeries affordable for low-income pet parents will have a dramatic effect in preventing overpopulation, thus reducing incidence of homelessness, neglect and euthanasia. Eventually, they hope to open a spay-neuter clinic, which will help them to make even more of an impact in their community. For more information about this alliance and the work they do, visit westtnspayneuter.org. Founded in 2009, this small-town animal rescue works to reduce the growing number of homeless animals. Run entirely by a dedicated team of volunteers, they strive to liberate dogs and cats from the county pound. Their greatest wish is "to reduce the number of animals being euthanized locally". Thanks to their tireless advocacy and a budding network of foster homes, more and more dogs and cats are finding forever homes. In addition to their adoption efforts, this group is also committed to helping lost pet kids be reunited with their families. We support the superheroes of this small community who strive to improve quality of life for so many, especially those who do not have a voice. To learn more, visit www.newkenthumane.org. Serving Atlanta, North Georgia and the Savannah area, this breed-specific rescue is 100% volunteer operated. All of their dogs are temporarily homed in foster care, affording every volunteer ample opportunity to really get to know each foster pup. 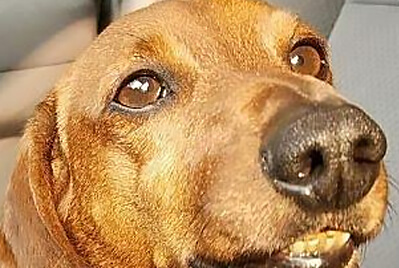 This hands-on approach can make a huge difference when it comes to matching their personalities with prospective adopters, as it helps to guarantee successful outcomes when their Dachshunds are ultimately placed in their forever homes. To learn more, visit www.dreamrescue.org. Originally founded in 1996 as a chapter of the National Greyhound Pets of America, this Orlando-based non-profit has two main goals: to locate loving homes for ex-racing Greyhounds and to educate the public on the merits of adopting this breed. Unlike most of our grant recipients this quarter, this group operates a physical facility, where right now nearly 50 of these elegant creatures are awaiting placement in their forever homes. Another fully volunteer enterprise, this group is proud that all donations go directly to the care of their rescued Greyhounds. The depth of their connection to the breed is evident in their commitment to never turn away a Greyhound due to injury, illness or old age. To learn more, visit www.greyhoundpetsorlando.org. Founded in 2010 to save German Shepherd Dogs from abuse, abandonment and high-kill shelters, this non-profit organization owes its existence to the compassion and dedication of its volunteers. Their efforts to rescue, rehabilitate and rehome this noble breed take place primarily in North Carolina, Virginia and Maryland, but they provide assistance to rescue efforts throughout the Southeast. Everyone in the organization volunteers their service, doing their utmost to identify and place these social, intelligent and agile creatures in loving homes where they can thrive as loving and loyal family members. To learn more, visit www.southeastgermanshepherdrescue.com. This non-profit was founded by Heather Peterson in honor of Kaya, a special-needs Chihuahua who was rescued from a high-kill shelter. Located in Southern California, this foster-based rescue has made remarkable progress building relationships with overcrowded animal shelters in the area. Taking homeless pups into foster care not only saves their lives, it undercuts the reliance on euthanasia by other shelters as an acceptable response to overpopulation. Leading by example, their hope is to educate people about the gravity of the issue and how easy it is to make a difference that benefits everyone involved. To learn more, visit www.lovebugsrescue.org. Based in Chaska, MN, this all-volunteer organization has more than 35 years of combined experience in the animal rescue field. One of a growing number of shelter-free charitable groups, this foster home-based organization commits serious time and energy into rescuing abandoned, abused and stray domestic animals. They are passionate about their work, and their mission of caring is clearly born out in the good works they accomplish every day. They have seen firsthand how the bond humans and companion animals share is strengthened through education, whether it's on humane treatment, the vital need for spay/neuter programs or the legal protections afforded animals. 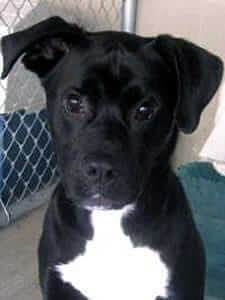 To learn more, visit www.swmetroanimalrescue.org. Founded in August 2006, this amazingly dedicated team of volunteers rescues, rehabilitates and rehomes pet kids all across Southern California. Additionally, they provide veterinary care and spay/neuter surgeries. 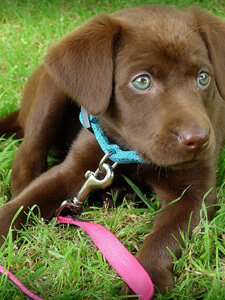 In the last decade, they have successfully located forever homes for over 900 companion animals. 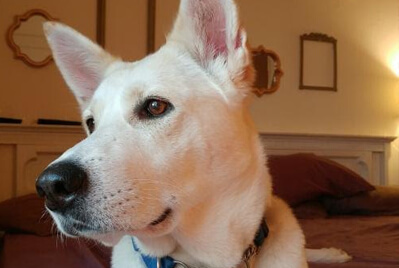 Despite what you might think based on their name, this foster-based rescue saves not just German Shepherd Dogs, but also Great Danes, Poodles, mixed breeds ... even a few cats! 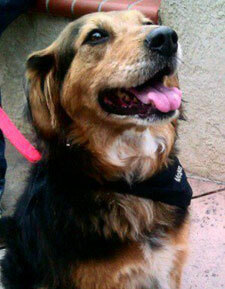 To learn more, visit http://socalrescue.org. Founded in 2008, Poodle and Pooch Rescue is a non-profit group with a very specific mission … to rescue as many “leftover” dogs as is possible. Nearly all of their dogs come from local animal control agencies in and around Orlando, where they’ve languished in need of extra-special attention. Once the group identifies such a creature, they set their sights and do not stop until the animal can be taken into their care. In spite of their few years of operation, they have amassed a huge foster network of 100 homes! It is in these homes where rescued dogs recover from traumas and surgeries. During their stay, foster pet parents invest significant time and energy in training, grooming, socializing and nursing these pups back to health, all to get them ready for adoption. 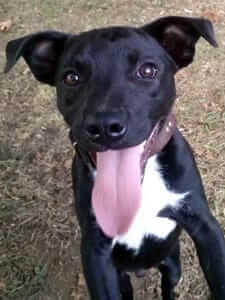 With our foundation’s grant, they estimate they will be able to save 40 dogs from a variety of distressing situations. Based in the town of Dahlonega, GA, the TLC Humane Society is the only no-kill, non-profit shelter in town. They maintain both a physical shelter facility and a foster-care program. The shelter is nestled on six beautiful acres and features a ‘Puppy Palace’ with room for pups to roam and rest. TLC has gone from caring for 18 animals to a regular intake of close to 300. The number of successful adoptions has skyrocketed, and now they consistently sustain a 95% adoption rate. In part, this is due to the fact that TLC hosts adoption events almost every weekend! 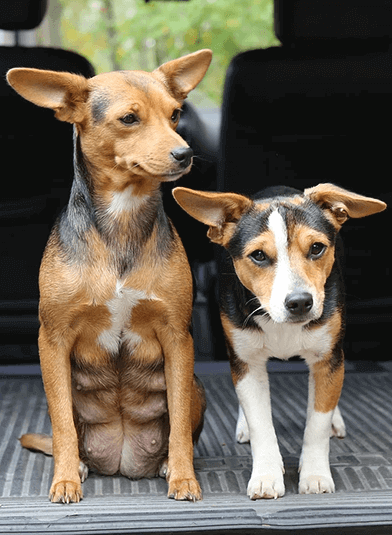 Our financial award will help cover the costs of a climate-controlled structure for canines. Speaking on behalf of the group, Volunteer Grant Coordinator Dena Maguire Young said that they were "so excited to receive our grant to help provide a warm enclosure for our dogs. Thank you so very much for this special and generous grant. We appreciate all you do for the animals, and for us!" The Second Chance Cocker Rescue is run by an all-volunteer staff which oversees more than 80 dedicated foster homes. In continuous operation for over 13 years, this committed group works diligently to improve the lives of Cocker Spaniels across the state of California. In any given year, they foster more than 150 dogs and locate forever homes for more than 200. Because they do a marvelous job promoting their favorite breed, the average time a dog remains in foster care prior to adoption is only 30 days! Their most innovative program is HALO, a safety-net service for canines after the death of their pet parents. Once enrolled, Cocker Spaniels are guaranteed a place in foster care until a new home can be found. Furthermore, this non-profit provides sanctuary homes for elder and chronically ill dogs. 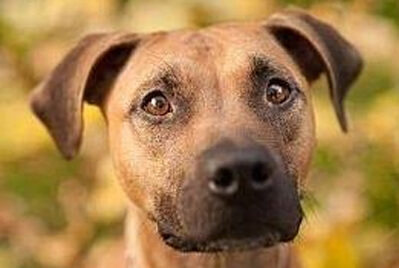 With our financial award, Second Chance hopes to increase the number of rescued dogs by 30%. The Green Lake Area Animal Shelter is run by a small staff lead by Shelter Manager Janine Rubeck, who oversees more than a dozen dedicated volunteers. In continuous operation since 1993, this committed non-profit group has sought to enhance the lives of both companion animals and people through education, adoption and compassion. Over the years, they've saved more than 12,000 animals! Green Lake Area Animal Shelter sought financial assistance for its low-cost spay-and-neuter program, which has been integral to the organization's long-running success. They have seen firsthand the positive impact that alteration surgeries have in curbing overpopulation and reducing the number of euthanized animals. Our non-profit’s grant contributed to the operating fund for this vital program. New Jersey Aid for Animals, Inc., is a no-kill animal protection charity striving to end the suffering of animals through advocacy, fostering and adoption. In continuous operation for over a decade, this committed non-profit group has fought to improve the lives of dogs, cats and other domestic animals in New Jersey. This grant recipient has big plans for their financial award. Funds have been allocated to a low-cost veterinary care clinic benefitting low-income families in the Camden City area. Participants will qualify for highly reduced rates for common veterinary procedures. Our donation will specifically make possible flea treatments and necessary vaccines for the low cost of $10 per companion animal. 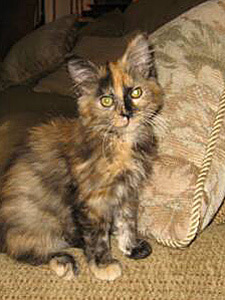 Additionally, remaining funds were used to cover flea treatments for a group of cats rescued from a hoarding situation. The infestation was so severe that rescuers worried some of the cats might die. However, thanks to our award, these kitties are now flea-free! 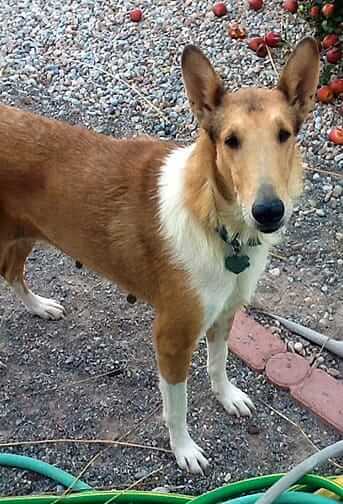 Founded in 2001, Southwest Collie Rescue has grown to handle incoming dogs from New Mexico, Texas and Arizona. Thanks to the working relationships they’ve cultivated with other shelters and rescue groups in this tri-state area, they are able to locate and save collies and Shetland sheepdogs in need. Completely staffed by volunteers, the daily operations are overseen by regional coordinators based on the goals laid out by the Board of Directors. 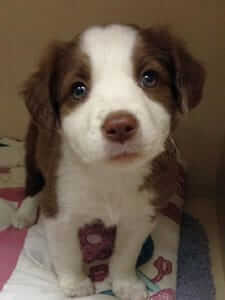 To date, they have rescued well over 700 collies and shelties! The grant from The Dr. Jane Foundation made it possible for SWCR to diagnose and treat two very sick collies, Shasta and Cassidy. 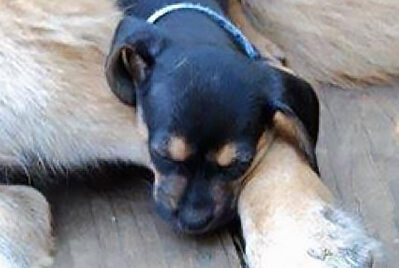 The remaining funds helped restore to full health a third pup, named Faith, who nearly died from starvation. Based in Marina del Rey, CA, Forte Animal Rescue is an all-volunteer, non-profit rescue organization that’s also committed to fighting pet-overpopulation and furthering the understanding of the human-animal bond through educational programs and community activities. For example, they offer a Junior Volunteer Program for local youth in order to help cultivate tomorrow’s responsible community leaders. Since their founding in 2002, this small band of devoted care providers has saved the lives of nearly 700 dogs! FAR imposes no restrictions on the type of dogs they rescue, and they do whatever it takes to locate forever homes for all of their four-footers. Nothing conveys this sense of utter devotion better than the story of Cruiser, who was saved both by FAR and our grant (read Cruiser’s story here) which helped to cover the costs of eight months of care for Cruiser until he was finally adopted by a caring pet parent. Our latest grant, in 2015, helped them cover ongoing veterinary expenses for recently rescued pups. Headquartered in Tallahassee, Boxer Aid and Rescue Coalition, Inc. (BARC) is a not-for-profit rescue organization that operates a network of volunteers in north Florida and south Georgia. In their decade of operation, these devoted caretakers have helped to rescue and find forever homes for hundreds of Boxers. Each Boxer receives medical care, basic training (including a behavioral assessment), a caring foster environment and the promise that they’ll be placed in homes where they will be treated ‘as a member of the family’. "BARC is so grateful for this funding”, said Courtney Reichenbach, president of the rescue. She added, “Dealing with everyday veterinary expenses doesn't leave money left over for fundraising. This grant will allow us to hopefully generate even more income, which will help us pay on outstanding balances and help new dogs coming into the program." American Black & Tan Coonhound Rescue (ABTCR) has placed abandoned coonhounds with foster homes until appropriate adoptive families can be identified. At any given time, this group provides essential daily care for dozens of Bloodhounds and Coonhounds, covering the costs of all veterinary expenses. They also pay for food costs on behalf of fosterers whenever possible. Many of these hounds are dropped off at humane societies, or abandoned in the wild, after failing to perform as a hunting dog, often without any training. Irresponsible breeders, out to make a quick buck, may dump entire litters if the dogs aren't purchased according to an accelerated time table. 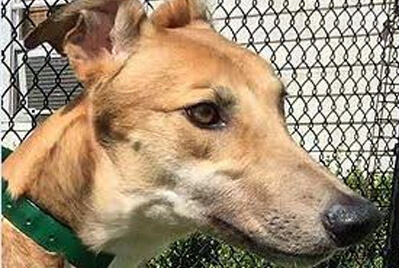 Thanks to ABTCR’s dedicated team, literally hundreds of hounds have been saved from a sad and lonely end, some only days or hours away from euthanasia. ABTCR used the Dr. Jane’s HealthyPetNet Foundation donation to cover the costs of extensive veterinary care for three of their rescued hounds. Headquartered in Magnolia Springs, All About Dogs Coastal Rescue is a non-profit organization that operates a network of volunteers. Founded in 2011, this relatively new rescue has already helped hundreds of dogs find forever homes. While other rescue groups struggle with timely adoptions, this organization averages a fairly short foster period … typically only a month! Each new rescue receives medical care, a temperament evaluation and socialization training prior to adoption. Volunteers provide nurturing environments, working toward the day when these lucky dogs will find their new, permanent home. All About Dogs Coastal Rescue plans to use the financial award given by The Dr. Jane Foundation to cover the costs of veterinary care for several of their dogs. 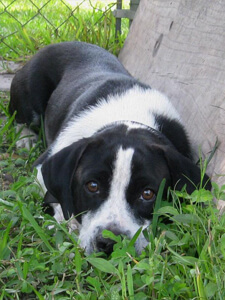 Based in Union, WV, Monroe County Animal League is comprised of caring foster parents. In operation since 1990, the small but committed non-profit group is staffed solely by volunteers. MCAL offers low-cost spay/neuter surgeries to the pets of Monroe County residents. In the last 15 years, they’ve safely transported 4,100 creatures to adoptive homes out-of-state, treated 1,700 dogs and cats, and found local homes for 580 animals. 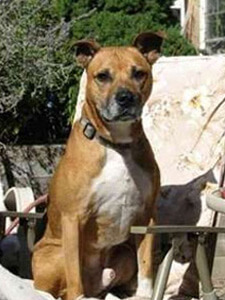 They also work hard on behalf of traditionally hard-to-place dogs, such as seniors, bully breeds and hounds. With educational efforts designed to teach people how to be good guardians of companion animals, MCAL has helped change their community for the better. Our financial assistance was earmarked for spay-and-neuter surgeries for cats belonging to county residents. The mission of the Oregon-headquartered rescue is to find responsible, loving homes for Greyhounds who no longer participate in dog racing or who are simply in need of a good home. Greyhound Pet Adoption Northwest prides itself in the fact that no greyhound will be turned away, no matter its condition. All of the rescued canines live in foster homes prior to being made available for adoption. In the last couple of years, they’ve exceeded more than 100 fostered animals annually. With a placement representative assigned to each adoption case, prospective greyhound adopters receive the utmost in service for a smooth transition to pet parenting. Our financial award was earmarked for improvements to the physical facility that houses the dogs prior to entering a foster home. In operation since 2004, True Blue Animal Rescue is a Texan non-profit organization dedicated to rescuing abused, neglected and abandoned animals, providing necessary rehabilitation services and locating great new forever homes. True Blue actively promotes spay-and-neuter procedures to put an end to the practice of euthanasia as an acceptable strategy for dealing with unwanted companion animals. 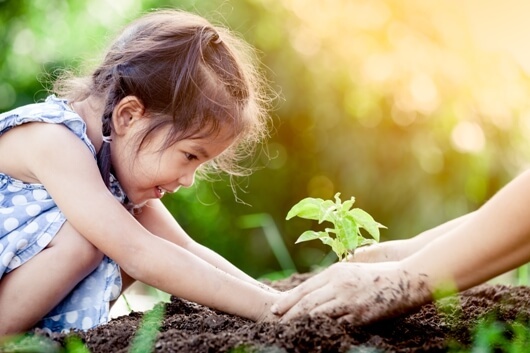 They also offer an educational program that teaches children about proper animal care, the importance of developing compassion and empathy for all creatures, and techniques for building their own self-esteem. The award given by Dr. Jane’s Foundation has been allocated to the fund that covers the costs of alteration surgeries. Headquartered in the little town of Fallon, Dog Town Canine Rescue is a committed group of rescuers wholly dedicated to alleviating the needless death and suffering of abandoned, abused and neglected dogs on tribal lands in Nevada. Prior to Dog Town Rescue’s existence, euthanasia was a common remedy in this area, not only for pet illness, but for homelessness, too. Thanks to the commitment of this group of volunteers, they’ve placed 161 dogs in forever homes. They fully anticipate a similar number of happy tails in 2014. Working with local American Indian tribes, they’ve started to make a significant difference combating canine overpopulation. The funds given by Dr. Jane’s Foundation went toward covering the costs of alteration surgeries for numerous dogs. Founded by Margaret Choi, Furry Foster's goal is to put a stop to the practice of euthanizing millions of homeless pets every year. Through ardent educational campaigns, they aim to enlist legions of new fosterers. By significantly increasing the number of people willing to foster, stress on traditional shelters can be alleviated and untold numbers of companion animals saved from an untimely fate. Every year approximately 17 million Americans consider adopting a dog or cat but don’t follow through. Reaching out to just a small percentage of this group could result in a massive decrease in the needless killing of pets whose only crime is not having a home. Our grant was used to fund an on-campus event to promote fostering and volunteerism by young adults. Golden Retrievers in Need Rescue Service, Inc. Founded in 1992 by a group of self-proclaimed ‘golden enthusiasts’, Golden Retrievers in Need has given over 2,600 displaced pups a second chance at life and a fresh, new start. This non-profit organization has made it their mission to educate the public on responsible ownership and care while also finding permanent, loving homes for their rescued purebreds. 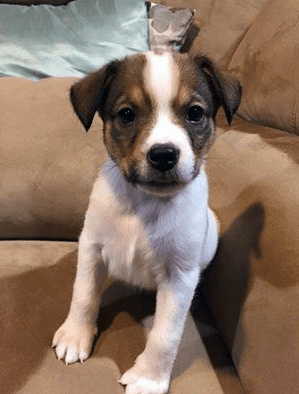 GRIN was able to use our financial grant to cover some of the costs associated with a very complicated and costly surgery for a spunky, six-month-old pup named Missy. Due to an uncommon genetic defect, Missy’s quality of life was severely restricted and surgery was the key to unlocking a brighter future. Companion Animal Rescue & Medical Assistance Inc. Guided by the belief that ‘there is a home for every animal’, Companion Animal Rescue & Medical Assistance Inc. (CARMA) focuses on making a difference in the lives of abandoned cats and dogs in New Mexico. Since opening in 1999, CARMA has operated as a no-kill rescue organization that has successfully taken in over 4,300 dogs and cats. CARMA also joins a growing list of volunteer groups that utilize innovative, home-like environments known as catteries. These cage-free shelters provide a warm, nurturing place for companions to stay while they wait to be adopted into forever homes. To keep up with their expanding rescue efforts, CARMA began construction on a third building and our financial award provided this new site with tiled flooring. 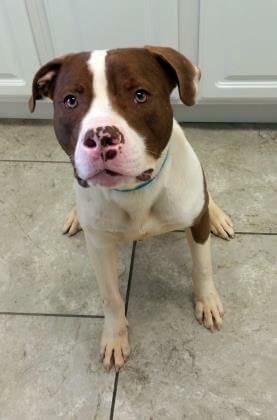 Male American Bulldog Mix Puppy Located in Portsmouth, OH, Sierra’s Haven for New & Used Pets represents the best available option for their county’s homeless animals. Since opening in 2006, Sierra's Haven has made a tremendous difference in the lives of thousands of animals, many of whom were once strays in desperate need of medical attention. Many pets are adopted by low-income families, who only need to cover the minimal $15 adoption fee for cats or a completely voluntary donation for dogs. During the period from 2006 to 2012, their Spay-and-Neuter Program, which is run by their in-house veterinary staff, has achieved outstanding results, performing almost 9,500 procedures on both dogs and cats. Our grant was used to fund three of their innovative programs to improve the lives of homeless pets. 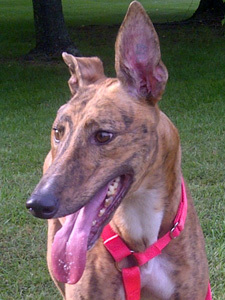 FastFriends Greyhound Adoption has helped 3,000 pups make the transition from racing careers to lives of companionship. Located in Los Angeles County, this caring agency maintains a network of foster homes. 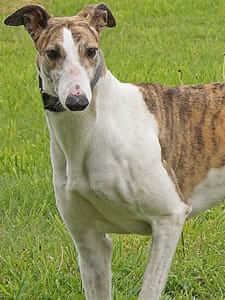 Almost exclusively, the retired greyhounds all come from one race track in Tijuana, Mexico. Dedicated volunteers put on “Show & Tell” demonstrations to reveal what amazing companions these champions of the track can be. Most of their funding is spent on veterinary care, medicine and food. 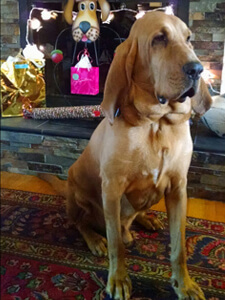 Our financial grant helped to cover ongoing medical care for a special four-year-old hound named Randy. After battling a wide range of medical problems, Randy managed to emerge victoriously, and is now a ‘happy, goofy fellow’ who loves to ‘give hugs’. 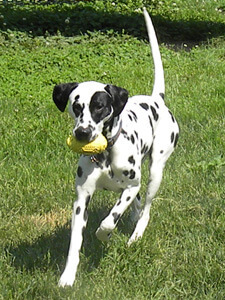 Focused on educating people about the consequences of negative stereotypes, Spotted Dog Dalmatian Rescue has made it their mission to save and improve the lives of hearing-impaired Dalmatians. Spanning across six states, this all-volunteer organization believes that hearing-impaired Dalmatians readily take to therapy training and can enrich the lives of people through service. Composed of a network of foster homes, Spotted Dog Dalmatian Rescue supports their foster families by providing funds to cover veterinary expenses. Our financial award of $2,000 alleviated some of the financial burden of costly supplies and veterinary services. 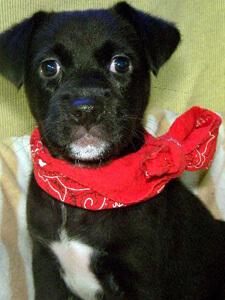 Specifically, this grant paid for the rescue and veterinary care for a sweet 10-month-old pup named Bandit. For over 13 years, Richardson Rescue has adopted out over 5,000 pets to loving, forever homes. Operating out of York, SC, this non-profit agency is committed to preserving the sanctity of animal life. This dedicated group operates a low-cost spay-and-neuter program for both dogs and cats. Additionally, they provide this service at a discounted rate, making it affordable for low-income pet parents. 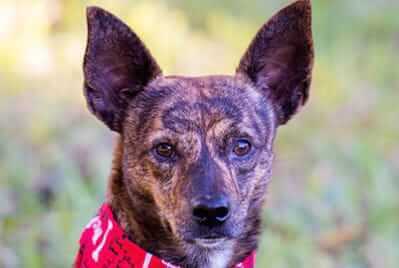 Focused on educating the public, pet parents and government agencies about responsible pet stewardship, the volunteers at Richardson Rescue also work diligently to prevent animal neglect and abuse. Our grant helped further their vital work for their low-cost spay-and-neuter program. Northland Animal Welfare Society provides essential veterinary care for low-income pet parents. Dedicated to reducing the number of homeless companions, they work to educate Missouri citizens about the humane treatment of animals. This agency offers alteration surgeries, vaccinations, micro-chipping and nail trimming services for both cats and dogs. Additionally, they assist in connecting local animal groups with individual fosterers to ensure that every animal finds a warm place to call home. With the help of our financial grant, NAWS was able to purchase a specialized, heated, hydraulic surgery table. Able to accommodate dogs who weigh more than 80 lbs., this top-of-the-line operating table allows NAWS to double the number of procedures they are able to perform. Part of our commitment at Life’s Abundance is providing financial relief for organizations dealing with emergency situations. Three agencies - Adopt NY, Coalition for Animals and All Breed Rescue & Training - provided essential services in the wake of tragedies caused by two natural disasters. Impacting New York and New Jersey, Hurricane Sandy was the largest Atlantic storm on record. With the help of Dr. Jane’s HealthyPetNet Foundation, Adopt NY and Coalition for Animals were each given emergency grants of $3,000. 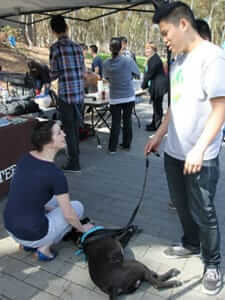 Adopt NY’s goal was to provide shelter and supplies for animals directly affected by the storm’s wrath. Volunteers worked tirelessly to deliver medicine and transport newly homeless companions to safe shelter. 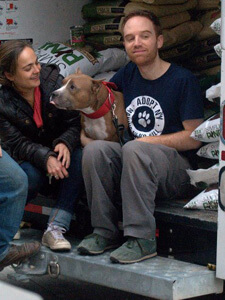 Our financial award helped Adopt NY to purchase 14,000 lbs of premium dog food, cat food and cat litter! Coalition for Animals shared their grant with 10 rescue groups, with funds distributed based on the severity each group’s need. All Breed Rescue and Training provided relief to those impacted by the Colorado Springs Wildfires, with over 35,000 evacuees. 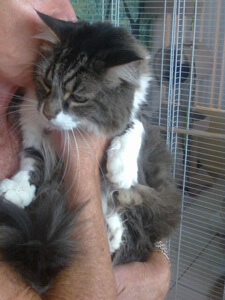 The Humane Society was quickly overwhelmed by homeless animals, and ABRT opened their doors and hearts to the overflow. Their converted warehouse turned into a life-saving sanctuary where volunteers worked around the clock. Our grant helped ABRT pay for escalating power bills, transporting companion animals, medical care, food and so much more! Since opening its doors in 2001, All Bassets Cherished Basset Hound Rescue has made it their mission to help homeless hounds find safe and loving forever homes. With the goal of improving the lives of canines and their adoptive families, ABCBHR has proudly adopted out almost 800 pups. 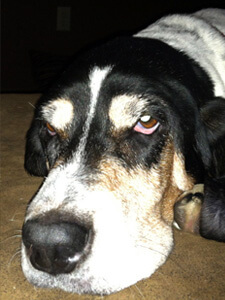 Thanks to the help of our donors, our financial award helped to provide veterinary care to recently rescued Bassets. A portion of our grant was dedicated to saving the life of a special eight-year-old hound named Nellie. 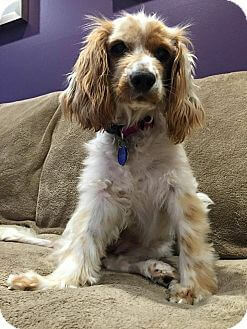 Freed from an arduous life of continuous breeding, Nellie was successfully rescued from a puppy mill in Ohio. Mary Stickney operates her small dog rescue organization out of Cortland, Nebraska. Stickney's Toy Breed Rescue saves small dogs that have been emotionally and physically harmed from human greed. She has created this non-profit rescue organization by turning her home that lies on five acres into a life-saving refuge where dogs can have a better start. Mary investigated the horrors of puppy mills and some unethical practices in the pet industry, and she vowed to make a change. She made it her responsibility to give these small dogs a second chance at life. Mary and her staff offer emergency veterinary care, and her adoption fees are only in place to cover these high expenses. Mary also makes it a point to save every dog that she can. If the dogs cannot be placed up for adoption then she will have them live with her permanently. 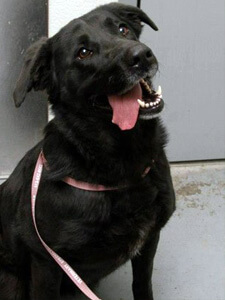 Her goal is to find every dog a safe and loving home far from the awful start that they have had to endure. Our financial award was able to save the lives of ten small dogs who needed extensive medical care, and who are now adoptable and safe! Save A Kitty is a donor-supported, non-profit, and no-kill rescue organization located in Los Angeles County, CA. 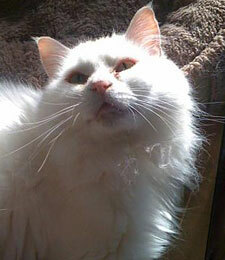 The all-volunteer staff works to save the lives of homeless, abandoned, and abused cats. By creating public awareness, they hope to develop solutions that will prevent overpopulation problems in the near future. They have developed a unique strategy that is focused on providing constant nurturing, reassurance, and repetitive handling, and this has led them to an exceptional track record for socializing feral kitties. SAK’s expanding facility and small network of foster homes can hold an impressive 65 kitties at a time, and all of these cats live cage-free. Their long term goal is to eventually create a large, no-kill sanctuary. SAK’s income is generated exclusively through grants and personal donations, and they do not receive any financial aid from the government. As a result, our financial award helped them pay for vet care, medical supplies, food, litter, beds, blankets, toys and more! 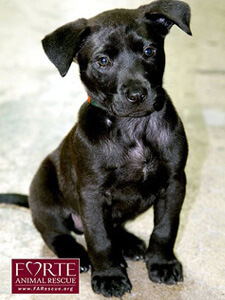 Founded in 1997, Dallas Fort Worth Labrador Retriever Rescue Club is the largest Lab rescue organization in one of America’s largest metropolitan areas. Their volunteer network is comprised of over 130 active participants, who provide transportation, dependable shelter and respectful daily care. Newly rescued Labs receive a whole host of veterinary treatments, including vaccinations, full health exams, spaying or neutering, nail trimming, heartworm testing and much more. Even though they take in as many Labs as resources allow, they estimate that they are only able to save about half of the purebred Labs roaming the metroplex. In spite of such an uphill battle, they remain wholly committed and enthusiastic about their endeavors. In addition to saving lives, DFW Lab Rescue educates the public about responsible pet parenting, as well as offering behavioral counseling, obedience training and more. With the funds we provided, an abandoned litter of puppies suffering from Parvovirus received life-saving veterinary care and made remarkable recoveries. For over 18 years, Going Home Greyhound has successfully placed 2,000 Greyhounds into permanent homes. Located in Wexford,PA, GHG currently has 70 volunteers who connect thousands of dogs with only the best-fitting adoptive parents. 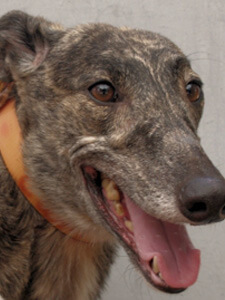 The Greyhounds are fostered directly from racetracks, and most of them have never enjoyed a warm and comforting home. GHG’s focus is to ease these pups out of their radical racing lifestyle and into a loving and safe companion life. Their Greyhounds usually stay in foster care less than a month before being adopted. With an onsite canine behaviorist, GHG is able to make the transition process smooth for new parents, and support is offered throughout the Greyhound’s lifetime. The Greyhound Gazette is their newsletter that keeps hundreds of parents in the loop on their current events, Greyhound news, future endeavors, and available pups. GHG does a wonderful job with their fundraising efforts by holding such events as an annual reunion, a Christmas bazaar, and a spring bath-a-thon. They also have an inspirational initiative that matches veteran pups with human veterans. Our financial award was able to pay for three Greyhounds to be matched with deserving service members for free. The award also covered the costs of vet care for a special canine that needed multiple surgeries. Headquartered in Pompano Beach, FL, Noah’s Ark Sanctuary for Abandoned and Abused Animals re-homes abandoned pets and strives to curtail pet overpopulation. What began as a husband-and-wife team has now blossomed into a full-time network of dedicated rescue workers. Their efforts have made a significant impact, recognized by both community leaders and governmental agencies. Staffed only by volunteers, they utilize a TNR strategy to deal ethically with feral cat communities. With their adoption center, opened in 2003, they’re able to meet the daily needs of cats rescued from lives of uncertainty and sickness. In addition to rescuing adoptable cats (and the occasional dog) and managing feral colonies, NAS provides educational outreach to South Florida communities about responsible animal care. 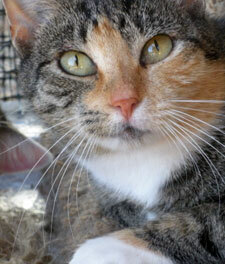 Our grant helped to bolster NAS’s efforts to care for a local feral cat colony. Prior to intervention, there were over 200 malnourished and sickly cats. Thanks to unflagging commitment, it’s now a manageable colony of 70 healthy cats. Grants also issued in February 2010 and July 2008. Based in Lancaster, PA, A Tail to Tell (ATTT) extracts unwanted and retired canines from puppy mills in the Northeastern U.S. Founded by members who trained at Puppy Mill Rescue, an organization recognized for their pioneering work in fighting against the multi-million-dollar industry, ATTT handles every survivor with utmost care, providing a comprehensive medical assessment and any necessary treatments. In addition to bloodwork, vaccines, heartworm tests and dental exams, each canine undergoes an alteration procedure – for many females, spaying ends years of repeated pregnancies during their captivity. In 2004, their first year of operation, ATTT saved the lives of 63 dogs. Their commitment over the years has yielded stunning results, as they rescued nearly ten times that many in 2011! Our financial award was used to save the lives of Ava Gardner and Maryann, who were “literally just a few days from dying” at the time of their rescue. Located in Okeechobee, FL, Humane Society Pet Rescue works to educate the public about the humane treatment of animals and to end the practice of needless euthanasia. This rescue’s dedicated team of volunteers offers guidance regarding training, grooming and feeding, and facilitates low-cost medicines and spay-and-neuter programs. When funding allows, HSPR provides dog food for folks dealing with financial hardship, as well as temporary shelter for the dogs of families working through the difficult process of home foreclosure. All of the canines surrendered to HSPR receive necessary medical attention – including alteration surgeries, vaccinations, preventative treatments and more – as well as daily, loving care. Furthermore, they actively work to promote the availability of their dogs in hopes of quickly placing them in good homes. HSPR is using our grant to renovate their indoor kennels to provide surrended canines a comfortable place to live until they’re adopted. Founded in 2003, Maryland’s HART for Animals has forged a reputation as a model for compassionate animal rescues. Their volunteers specialize in placing homeless animals from local shelters with foster families until adoptive pet parents can be located. Taking in dogs and cats from other rescues, HART’s volunteers coordinate transfers of animals abandoned in rural areas to more densely populated cities, thereby increasing their chances of successful placement in forever homes. Their low-cost spay/neuter services, offered both to pet parents and other animal rescue groups, further help to reduce the number of homeless animals in Garrett County. Our financial award will be added to HART’s Building Fund for work on their new adoption center. In the meantime they continue to provide services such as providing dog training classes, rehabilitating injured animals and supporting local efforts to enforce laws protecting pets from cruelty and neglect. 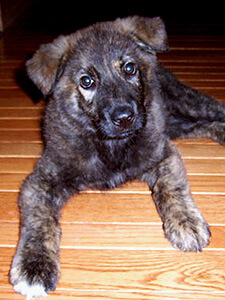 Some rescues cater to specific breeds of dogs. Others care solely for felines. And then there are those organizations, like the Marion Regional Humane Society, which open their doors and their hearts to animals of all stripes, including dogs, cats, birds, rabbits, hamsters and more. Located in Marion, IL, this non-profit organization works closely with the public to reduce pet overpopulation. With limited space for rescued animals, MRHS offers a low-cost spay-and-neuter program and provides pet food to pet parents experiencing financial difficulties. The kindhearted folks of MRHS know the best way to prevent animal abandonment is to keep families together. While the directors of MRHS currently lease a 2,500-square-foot space, they are actively planning and saving for construction of a new facility for their operations. The financial assistance we provided helped to cover the costs of veterinary medicines and vaccines, as well as critical repairs and upgrades to their central air system. Based in Ft. Lauderdale, Paws South Florida Rescue is a no-kill, all-volunteer, animal-welfare group laboring to put an end to the cycle of feline overpopulation. Dealing almost exclusively with feral cat communities, PSFR is not a shelter but a close-knit group of volunteers who care for the forgotten. They utilize a TNR strategy, where felines are trapped without injury, neutered or spayed, and released to return to their feral group. With the assistance of veterinarians affiliated with PSFR, feral cat communities are managed according to the guidelines of Alley Cat Allies, a popular feline advocacy organization. Any adults and kittens deemed viable candidates for adoption are live with one of their devoted fosterers until suitable forever homes can be located. The funds supplied by our foundation award played a role in helping this organization to trap, sterilize and release 116 feral felines, and to rescue and adopt out 15 kittens in 2011. A non-profit organization dedicated to helping their South Florida community, both humans and felines alike, Cats Exclusive has been in operation since 1979. 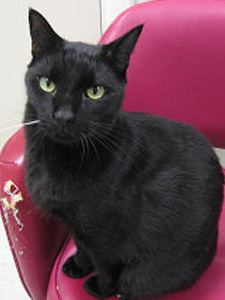 They opened the first storefront feline adoption center in Broward County, in 1998. Through this adoption facility, which features sufficient space for the daily care of 60 cats, they have rescued nearly 6,000 cats! Their Spay/Neuter & Adoption Program (SNAP), created to oversee alteration procedures of homeless felines, has proven highly successful in curbing feline overpopulation in the Greater Miami area. Cats Exclusive operates a low-cost veterinary clinic which provides a variety of services, such as vaccines, dental care and spaying/neutering. In fact, they’ve performed just over 10,000 procedures and treatments! 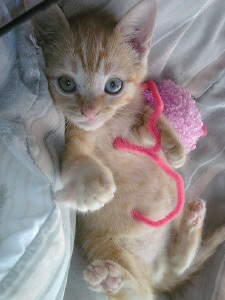 Our financial grant helped to cover the costs of Cats Exclusive’s shelter operation during the last four months of 2011, when they took in 115 felines and placed 128 in loving, adoptive homes. Headquartered in Hampstead, the Carolina Boxer Rescue is a not-for-profit rescue organization established in October of 2001. In their decade of operation, they have helped to rescue and find forever homes for hundreds of purebred Boxers in North and South Carolina. 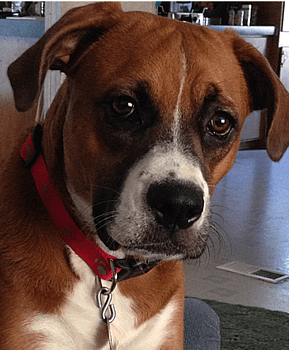 Liberating Boxers from nearby shelters, they also accept surrenders directly from owners experiencing hardship and welcome strays in any condition. Every Boxer receives a complete physical, immunizations, sterilization, heartworm test and treatment for any illnesses or diseases. In spite of minimal resources, and thanks to the diligent efforts of a handful of volunteers and a broader network of caring foster parents, CBR has consistently maintained averages of 50-60 adoptions every year. They view their volunteers with utmost appreciation, as they are “by far the most important necessity” for their operation. CBR used our donation to help cover the costs of veterinary care, including surgeries and especially heartworm treatments. Established in 1971, the Humane Society of West Alabama is a no-kill, all-volunteer, non-profit organization utterly dedicated to the dogs and cats in their care. They operate on a spare budget, but never spare on the superior care they provide their rescues. In 2010, they placed 200 pets in new forever homes, in addition to providing support to another hundred animals and families in need. This Humane Society actively works to improve the quality of lives of dogs and cats throughout Western Alabama, hit hard by tornados in April. Their past experience in locating homes, maintaining lists of lost and found animals, providing vet care to pets in need, and coordinating the activities of the support network of caring individuals helped them to help others post-devastation. Our financial assistance aided in their efforts to reunite hundreds of people with pets displaced by the storms. Founded in late 2004, Community Sharing is a Michigan-based, non-profit, outreach agency that provides food and support to hundreds of families and their companion animals. Their specialized assistance keeps families together by distributing food, veterinary care and pet supplies to people in financial straights. Overseen by a board of twelve members and operated by a group of over 100 volunteers, Community Sharing gives emergency assistance to over 300 families and more than 1,000 individuals every month. 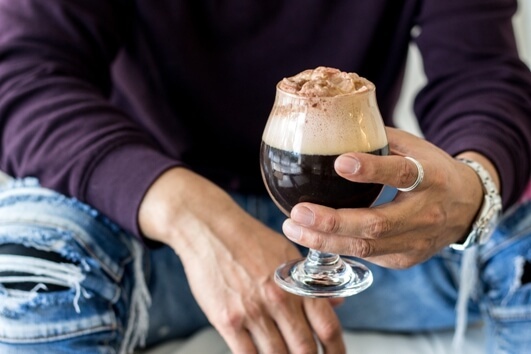 Helping all of their clients rise above their present difficult circumstances and achieve financial independence is the ultimate goal of Community Sharing. With the funds we awarded to this laudable group of caring individuals, they were able to keep their pet pantry stocked for a full three months, providing 481 families much needed aid. All in all, 612 dogs and 531 cats received not only food and care, but also toys and treats. 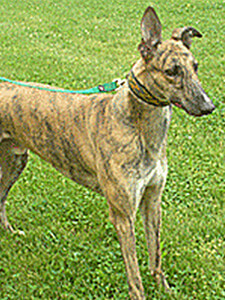 Located in Pennsauken, NJ, Greyhound Angels Adoption, Inc. is a non-profit organization dedicated to the placement of retired racing greyhounds into loving adoptive forever homes. With a dedicated 3,200-square-foot facility, they provide a haven for up to 42 Greyhounds at a time. Working with responsible and dedicated professionals inside or associated with the racing industry, Greyhound Angels has been able to place over 1,400 retired greyhounds with adoptive pet parents. 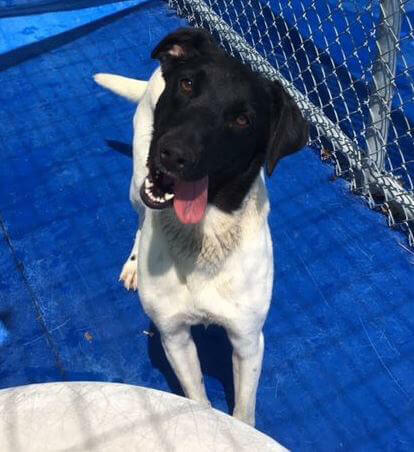 Even after adoption, this group offers a safety net of continued support should any problems arise with any of these graceful canines. This caring group has committed to never refusing a greyhound based upon poor medical condition. They’ve taken in dogs experiencing seizures, blindness, deafness, broken legs, abuse survivors, malnourishment, diabetes and other unfortunate conditions. As a consequence, their veterinary costs are high, which they cover with the help of donations, like the one provided by our foundation. Located in Palm City, FL, Domino's Cat Rescue League is devoted entirely to saving homeless cats. Every one of their cats has been saved from abandonment, starvation, accidental injury, cruelty, disease or a combination of these life-threatening challenges. Their no-kill sanctuary offers a cage-free environment where their rescues can recover and ready themselves for adoption with their forever families. Every year, these committed kitty rescuers redouble their efforts to combat feline overpopulation and homelessness; consequently, they continue to set records for both the numbers of cats spayed and neutered and for their number of successful adoptions. Domino’s is well on their way towards achieving their goal of becoming the premier feline rescue and adoption center in Florida’s Martin County. With the funds we awarded to this group of dedicated rescuers, Domino’s was able to cover the costs associated with FIV and Feline Leukemia tests for more than fifty cats in their care. Based in Orange County, Barks of Love Animal Rescue’s mission is to work with overpopulated animal shelters across Southern California with the goal of dramatically reducing the number of dogs who are euthanized. They focus on canines who are shunned by prospective pet parents at shelters due to medical conditions and emotional problems. Often, the dogs they rescue are literally minutes away from being put down. Under the watchful care of a devoted network of foster homes, these pitiable creatures are nursed back to physical health while working through aggression and other issues to become socially well adjusted. Thanks to the persistence of their all-volunteer staff, many of these dogs learn for the first time how to live inside a home as members of a family. Founded by Ashley Greenspan in 2008, this grassroots organization has accomplished the remarkable feat of guiding nearly 500 dogs from tragedy to triumph. 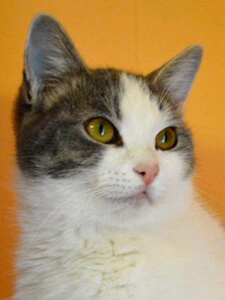 What began as a personal experience caring for and rescuing sickly and abandoned cats, quickly became Angela's Angels Cat Rescue, no-kill feline rescue in Columbia, North Carolina. A small organization, their focus is on saving felines from euthanasia at high-kill shelters, while also taking in stray, abandoned and surrendered cats. For many felines classified by some as “unadoptable”, this all-volunteer group represents their only chance of emerging from shelters alive. This rescue makes a lifetime commitment to every rescued cat, and all potential adopters are carefully screened and must agree that their new pet kids will live out their days as indoor creatures. They’ve also implemented a "Cats for Seniors" program, which allows senior citizens to adopt free of charge. Our award will go towards the purchase of a new building to house special-needs cats with disabilities who require daily medications, prescription diets and daily medical care. Founded by a brother and sister duo in 2008, Rainbow Rescues of Chicopee, MA, provides a safe haven for dogs, cats and rabbits. After completing health assessments and any necessary treatments, the O’Briens place their rescues in pre-approved foster homes and work diligently to locate the perfectly matched forever homes. They also devote their time and energies to their community, working to educate the public about animal welfare and other related issues. In spite of their high level of care, they charge only a minimal adoption fee, to help offset the costs of medical treatments and the provisions needed to outfit their foster homes. Rainbow Rescue used our foundation award to cover the costs of crates, medicines, specialty foods for pets with allergies, several surgeries, as well as food and toys to help newly adopted companion animals make the transition to their new homes as stress-free as possible. The funds supplied by our 2011 award helped them to trap, sterilize and release 116 feral felines, and to rescue and adopt out 15 kittens in 2011. With our 2012 grant, they exceeded those records, with 148 feral cats treated, 43 kittens rescued and 35 placed in forever homes. Our latest grant, in 2013, helped them achieve more good works, with 192 feral cats treated, 28 kittens rescued and 23 successful adoptions. A COPY OF THE OFFICIAL REGISTRATION AND FINANCIAL INFORMATION MAY BE OBTAINED FROM THE DIVISION OF CONSUMER SERVICES BY CALLING TOLL-FREE (800-435-4352) WITHIN THE STATE. REGISTRATION DOES NOT IMPLY ENDORSEMENT, APPROVAL, OR RECOMMENDATION BY THE STATE.